Our product range includes a wide range of warehouse. To cater the demand of our esteemed clients, we deal in manufacturing and supplying a wide range of Prefabricated Warehouse that is widely used as warehouses, workshops, large factory buildings etc. Under the strict vigilance of our adept professionals, the offered building is precisely constructed by utilizing high-quality components which are sourced from the most reliable vendors of the industry. In order to meet exact requirements of our clients, we primarily focused on the specification detailed by them. 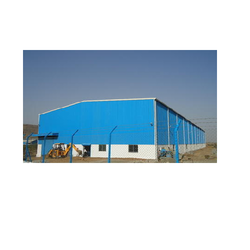 Looking for Prefabricated Warehouse ?